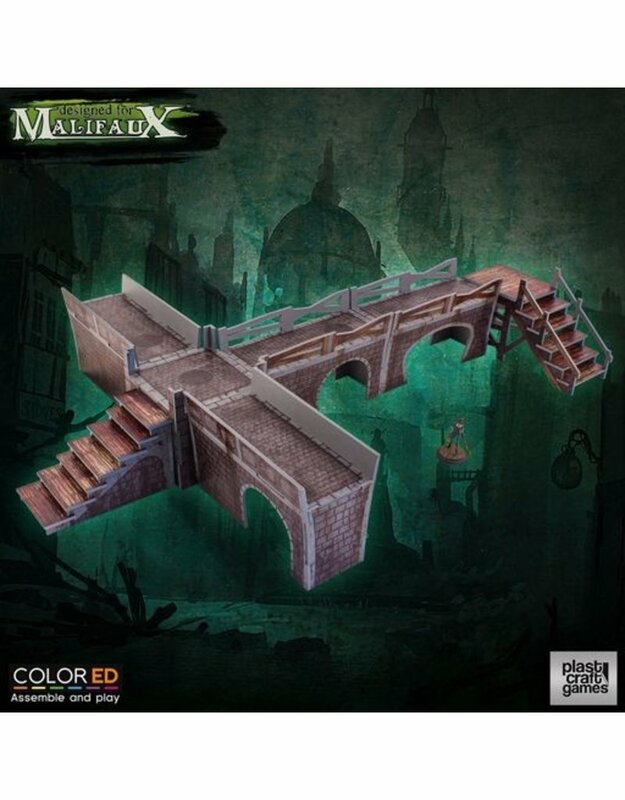 This Plastcraft Games Malifaux Sewers Walkway (ColorEd) box set contains one (1) pre-coloured 32mm scale PVC Malifaux Sewers Walkway Set. All models are supplied unpainted and require assembly. Plast Pre-Cut foamed PVC scenery set. The Sewers Walkway Set is officially designed for Malifaux so is created to fit perfectly both with the aesthetic and model scales of the game.